I had some leftover salami from a picnic we had this weekend along with some vegetables. 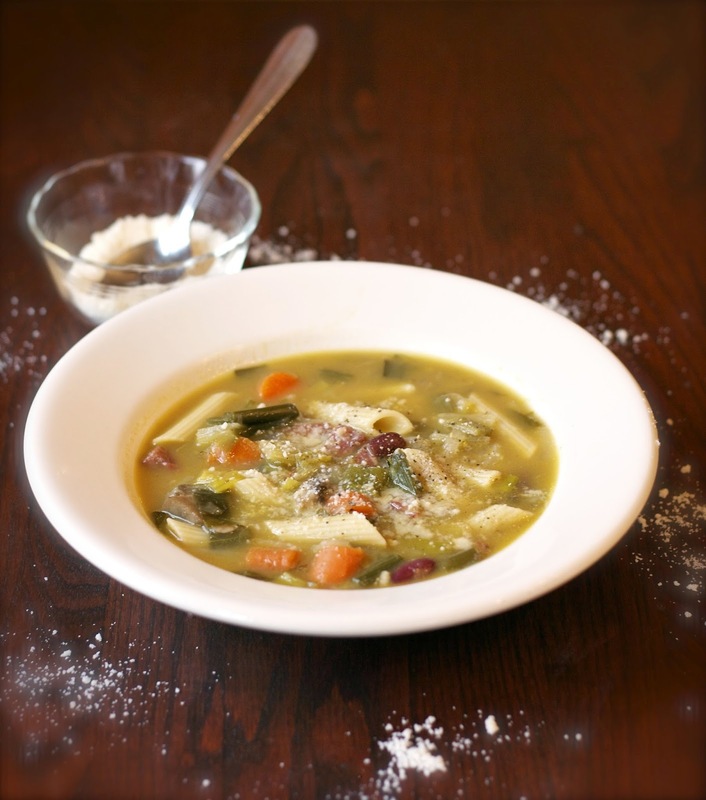 Soup is always a great thing to make with leftovers and vegetables that are starting to wilt. Soup is not just for winter. If you serve it warm or at room temperature you can eat it all year round. It is great for a meal in the Spring and Summer when you want to eat lighter. In the Summer your body can use the hydration that soup can provide. 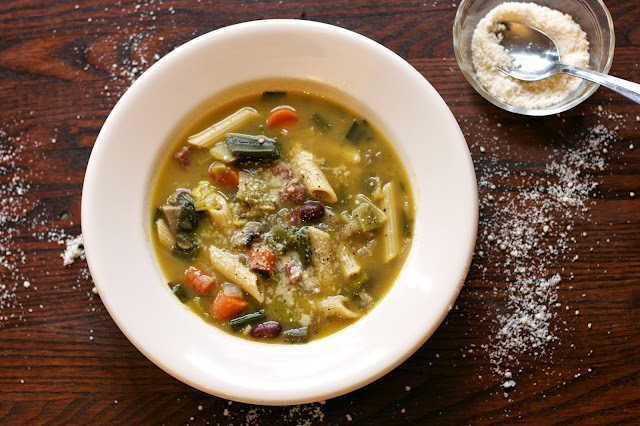 Italians make minestrone soup all year long. Use any vegetables that you have. I used a leek, but any dark green would be fine: chard, spinach, etc. You can add salami, or leftover ham, but if don't have any meat the kidney beans make it a terrific vegetarian meal. But don't forget the the parmesan cheese and pasta ... any small macaroni will do! 1) In a large sauce pan heat the EVOO on medium high. Saute and salt and pepper the onions, leeks, carrots and celery. 2) When the vegetables wilt add the salami and broth and bring it to a boil. 3) Add the pasta when the broth is boiling, stir and cook for the time it says to al dente the pasta. 4) Turn the heat off and add the beans and cheese. Check the salt and pepper. Your recipe for Salami minestrone soup sounds and looks like a recipe to try. My mouth is watering. Thank you for sharing with the Clever Chicks Blog Hop! I hope you’ll join us again next week! This looks fantastic. I love salami it's simply the best. Soup is another favorite meal for lunch at my home so this recipe will definitely be on my list to try. Looks great!